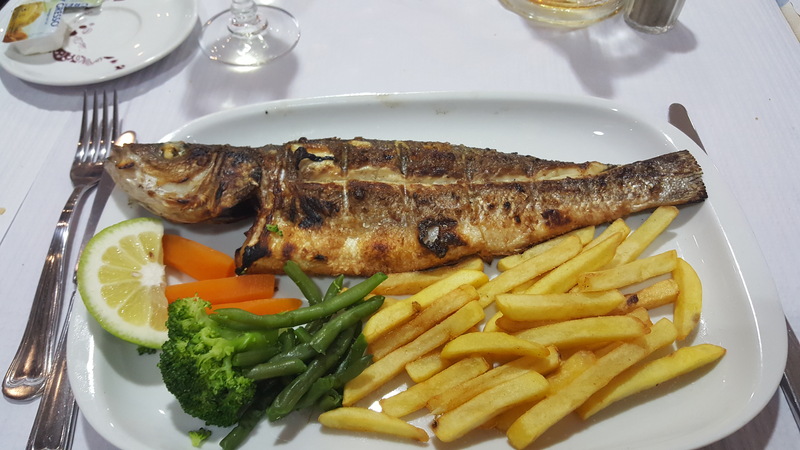 If rejuvenation and restoration is the aim of your brief encounter with sea, sand and sunshine, here is your travel guide to the Algarve in Portugal, specifically Monte Gordo, a small town beside Villa Real de St Antonio by the Guadiana River. It’s beautiful and will certainly do the trick. Don’t you love how the sea and sky merge?! 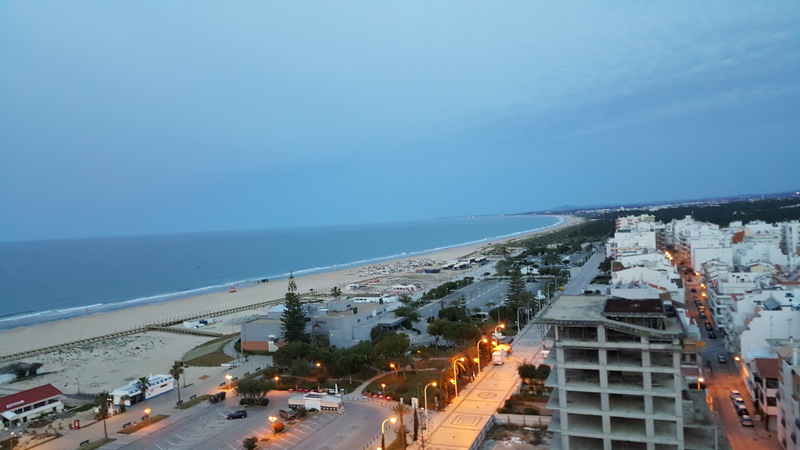 The Aparthotel Guadiana is one of the tallest buildings in the town and provides an incredibly picturesque view of the beach, sea and town, particularly if you are blessed to have a room on the 13th floor. I’ve previously stayed at Hotel Alba (under construction), Foz Atlantida (meh) & The Alcazar (winner!) Hotel Alcazar gets my vote simply because of the large pool area for sunbathing and relaxation that neither Atlantida nor Guadiana offers. However, if you can somehow combine the room and facilities at Alcazar & the breathtaking view at Guadiana, go for it! Where to dine for lunch and dinner? 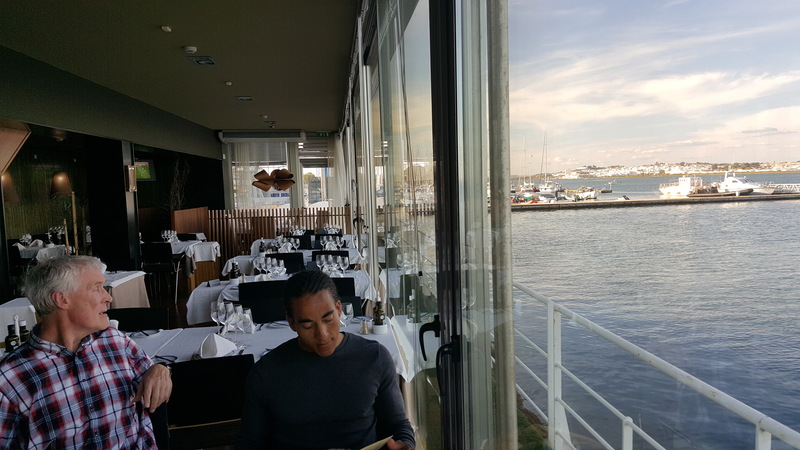 Dine by the river at this rather upscale, yet relaxed restaurant that serves the largest and most delicious pink fish you will ever taste (I had the salmon – €13.50), set against a beautiful blue Guadiana landscape: river, boats, horizon. The white wine is equally the best beverage you will taste on your visit too (€2 for a glass of house white!!! €2!!!! ), whilst the freshly squeezed orange juice from Ed & Willem’s, fondly referred to by regulars as the ‘Dutch bar’, will be a close runner-up (see below). Having already visited this part of Portugal about five or six times now (for work(ish), not pleasure), I suspect you too may come to love it so much you’ll want to come back again and again! You will also love the Full English breakfast here (€6.25? ), which includes a cup of tea or coffee in the price. This breakfast comes with beans & tomato too, but I don’t like either so they’re not featured in the pic. Sorry! You, like me, may come to know this place by location not name. I personally don’t know the name anyway, so I’ll try to direct you there. It’s on a cobbled side street. Ask for directions to La Mama’s and with La Mama’s on your right and John’s Bar on your left (a teeny-tiny, nonetheless pleasant place for drinks and laughs), ‘the 10 euro place’ is the restaurant after this on the left that features a Tourist menu for €11.50 (previously €10 when I first visited, hence the name). Cheap. Cheerful. Tasty. What more can I say? 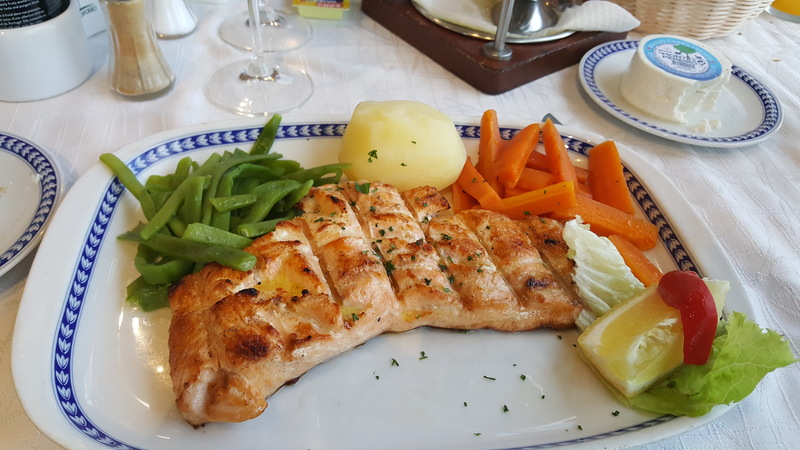 Oh yes, what makes this place stand out is the fact you get bang for your buck – starter (I had veg soup); main (I chose grilled sea bass, but others in my group ate steak and salmon); dessert (cake/tea/coffee/fruit); and a drink (white wine. Thanks!) The ’10 Euro place’ offers a low price menu option, but without compromising on quality or taste. La Cabana – Restaurant, Bar, Grill & Asian Cuisine. Basically, an Indian restaurant that serves any other food you would want. I visited here twice on this trip (loved it that much). Hopefully you will love it too! If you do choose to dine alone at any time, know that you will be well looked after. 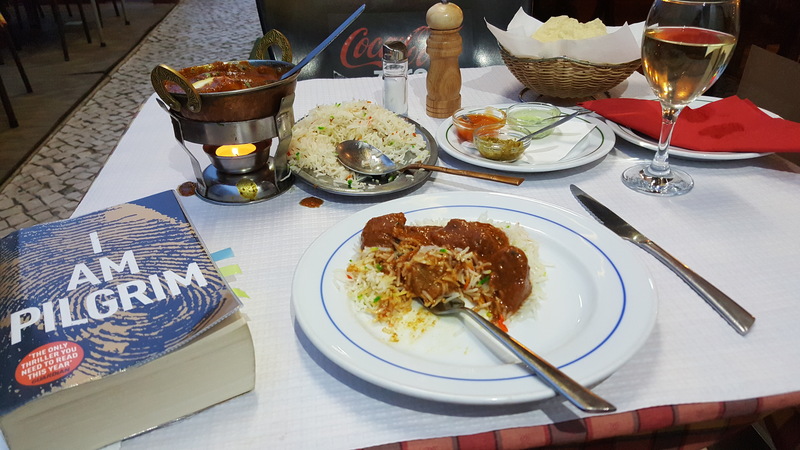 On my last night I dined alone, with Terry Hayes (superb new author of debut novel, ‘I Am Pilgrim‘) and a super-friendly waiter for company. You can’t help but give it a 10/10 for service here. I think Mr. Waiter took pity on me because he offered me a few freebies – a starter and apéritif which were on the house. Obrigada! (That’s ‘Thank you’ in Portuguese, by the way). 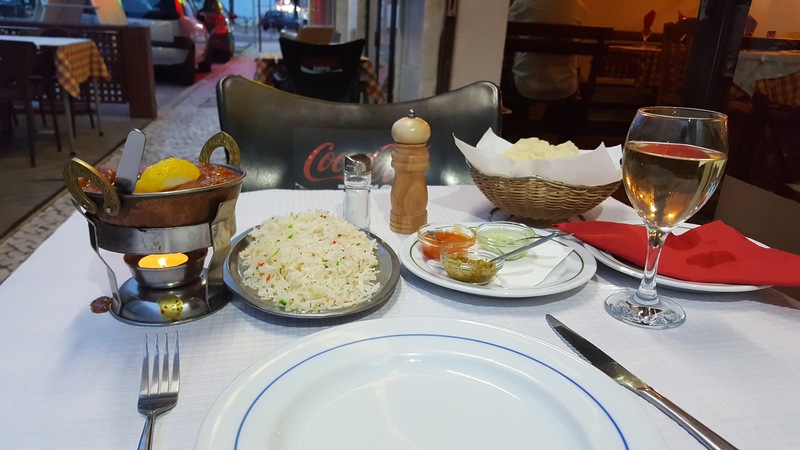 All-in, a lamb madras, pilau rice & glass of white wine will set you back a whopping €13.50 (plus tip, of course!) Get involved! A Manchester to Faro airport (return) flight will cost you about £100 or less all-in, including checked baggage with Thomas Cook Airlines (there) & Ryanair (back). The best travel option from Faro to Monte Gordo would be to grab a deal with your flight operator or hotel. (My friend says his shuttle cost £50 return). I am last-minute as always so decided to go with the ‘arrive & hope for the best’ plan of action. A €70-75 45-60 minute journey cost me €40 thanks to a lovely taxi man who accosted me upon my arrival. What good fortune! Tip for the wise: plan ahead! 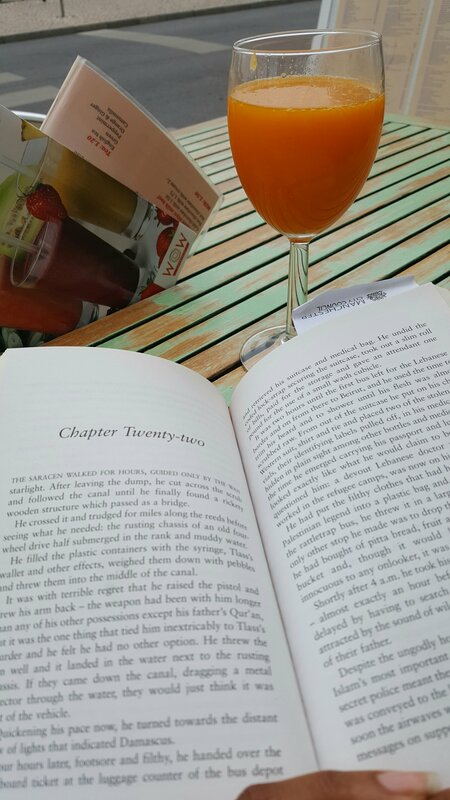 Finally… there’s more to Monte Gordo than food and drink! On this trip my ‘more’ included accompanying my ex-training partners to the nearby track (15-20 minute cycle/30-40 minute walk/3-5 minute €5 taxi ride away from beach and hotels); walking along the beach (once for like 5 minutes. Eww to sand & seagulls! ); tanning by the pool (& posing in it! ); and reading. As I’ve done in the past, you might also want to visit nearby towns, countries (Seville, Spain is across the water), race around a go-kart track, go to Slide and Splash waterpark, or engage in a bit of retail therapy at a large shopping centre. What do you think? Fancy a trip out there yet? Get involved and let me know how it goes! I had to get a bit of a workout in too whilst here. I felt lazy otherwise! Have you visited Monte Gordo before? What else would you recommend? Message or comment for more tips and recommendations! 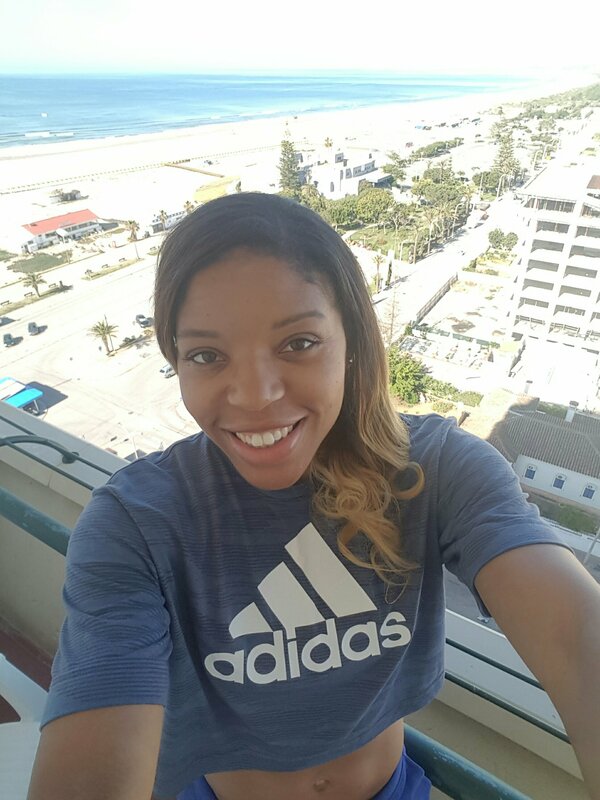 For more of my UK & European holiday travel reviews, check out ‘The Travel Bug‘.